The President of Tanzania Dr. John Magufuli requested the relevant authorities and the Parliament to review and amend the laws pertaining to the mining, and the oil & gas industries. The order follows the presentation on 12th June 2017, of the second report on mineral concentrates exports, which claimed tax evasion and major irregularities by the gold mining companies operating in Tanzania. In particular, the report claims that between 1998 and March 2017, between 44,000 and 61,000 containers of mineral concentrates worth between USD 49.12 billion and USD 83.32 billion were exported, without the country earning anything in royalties and taxes. The second report also alleges that Acacia Mining (LSE:ACA, DSE:ACA), Tanzania’s largest gold producer, has under-declared revenues and tax payments over a number of years. This is why the report recommends the payment of outstanding taxes and royalties, renegotiating large-scale Mineral Development Agreements and the Government’s ownership in the mines, and maintaining the current ban on mineral exports that was introduced in March 2017. President Magufuli also ordered the investigation of all former and current government officials who were involved in the signing of mining agreements. President Magufuli already revoked the appointment of the Minister of Energy and Mines Prof. Sospeter Muhongo, and suspended the Chief Executive Officer of the Tanzania Minerals Audit Agency (TMAA), following the presentation of the first report on the contents of gold, copper and other minerals in the mineral sand in containers for export, that claimed major discrepancies in the actual amounts of minerals. However, Acacia Mining strongly refutes these accusations included in the second and in the first report. 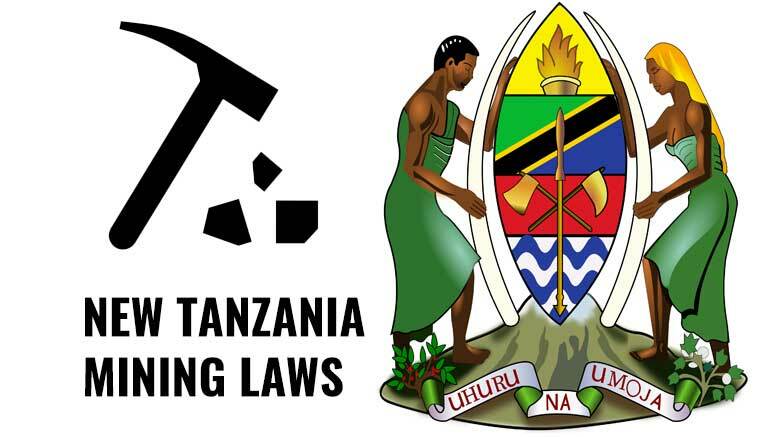 “We have always conducted our business to the highest standards and operated in full compliance with Tanzanian law. We reiterate that we have declared everything of commercial value that we have produced since we started operating in Tanzania and have paid all appropriate royalties and taxes on all of the payable minerals that we produce. In addition, our published accounts are annually audited to an international standard in accordance with IFRS”, the company explains in his latest announcement. In addition, Acacia Mining discredits the first report, which claims that Acacia has under-declared its exports, and calls for an independent investigation and a lifting of the export ban until this work is completed. Mining and quarrying activities in Tanzania contributed 3.7% to its GDP with USD 1.78bn in 2014, compared to only USD 598m in 2009. According to Tanzania’s Development Vision 2025 plan, the mining sector is expected to account for 10% of the GDP by that year. However, the Tanzania Chamber of Minerals and Energy (TCME) believes that under the current situation some mines faces imminent closure because LINK of the loss of revenues from the sale of concentrates. The ban on mineral exports already heavily affected Acacia Mining who reported a reduction in sales of almost 35,000 ounces lower than production in its results for Q1 2017.